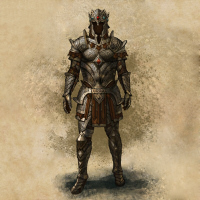 Jump-to-Friend: Social jumping into Cyrodiil or any PVP space is being disabled. This has long been the way to get around the Guest/Home campaign assignment. With this change, we’re closing that loophole as it’s detrimental to the overall PVP experience and integrity of the campaign system. Emperor Buffs/Skill Line: The “Former Emperor” buffs are being removed from the game. With this new system, you will only get Emperor buffs while your character is actively Emperor. Also, you will be granted the Emperor skill line and abilities upon earning Emperorship, without the need to spend ability points. All players that have spent points in the Emperor skill line will be refunded those skill points. Low Population Campaigns/Underscoring Alliances: Players participating in a low-population campaign or as part of an underscoring alliance will now gain 20% more AP within the campaign they’re earning that bonus for, instead of 10%. Population polling has also been sped up to apply the underdog/low-population bonuses more often; however, this also means they have the opportunity to expire faster. Guest Campaign Reassignment: The cooldown on Guest Campaign reassignment will be increased to 4 days from 3. Home Campaign Reassignment: The cooldown on Home Campaign reassignment has been changed to 12 hours from 3 days, but the cost to switch will be 150,000 AP instead of 15,000. Also, switching home campaigns at the end of a campaign period will now cost 100 AP instead of 5,000 AP. Battle Leveling: The Battle Leveling system has been updated to include Veteran Ranks. Players that opt into Battle Leveling will be roughly equivalent in power to a VR14 player in moderate-quality gear. Elder Scrolls & Gates: A fix is in the works that will prevent enemy player characters from getting through the Elder Scroll Gates while the gates are closed. (Gate jumpers beware. Your days are numbered.) Also, a new protective barrier will now surround the Elder Scrolls while in their temples, if the Elder Scroll Gates are closed. This barrier will drop if the gate opens. Azura: Ownership of keeps, resources, Elder Scrolls, and outposts will generate 1 point each per scoring cycle and last 30 days. Chillrend: Keeps, outposts, and resources will generate zero points. Ownership of Elder Scrolls will generate 1 point per scoring cycle and last 7 days. Haderus: Keeps, outposts, and Elder Scrolls will generate zero points. Ownership of resources will generate 1 point per scoring cycle and last 7 days. Thornblade: Resources, outposts, and Elder Scrolls will generate zero points. Ownership of keeps will generate 1 point per scoring cycle and last 7 days. As always, these changes are subject to change based on feedback and testing, but this is the direction we’re going with PVP and Cyrodiil. Hopefully this post shows we are dedicated to delivering a solid PVP experience, and we thank you again for your loyalty to the war in Cyrodiil and your feedback!